Every person is different and has their own special qualities. 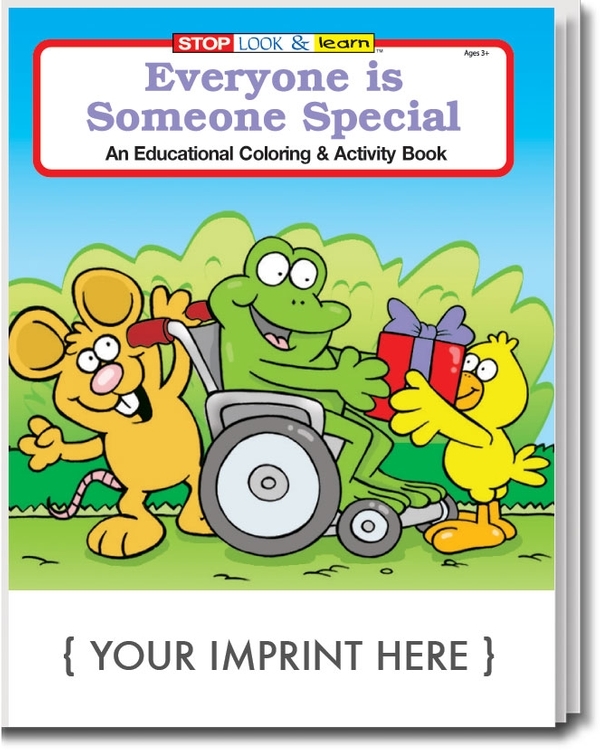 Teach your children to be themselves with the We Are All Special Coloring and Activity Book. With 16 pages of coloring, games and activities, kids learn to appreciate what is unique about them makes them truly special. Recommended for children ages 3 and up. Ideal for schools, day care centers, libraries, and youth organizations. Don't Forget the Crayons! Make it Easy -- Make it a Fun Pack: any coloring book or activity pad conveniently packaged with a 4-pack of crayons in a sealed poly bag. No assembly required.